The Buckland & Betchworth Choral Society (formerly Buckland Choral) is a small, friendly choir which meets every Wednesday evening in Betchworth Village Hall from September until June, starting at 7.45pm. The choir has an exciting and diverse performance calendar under the baton of conductor Helen Smee. 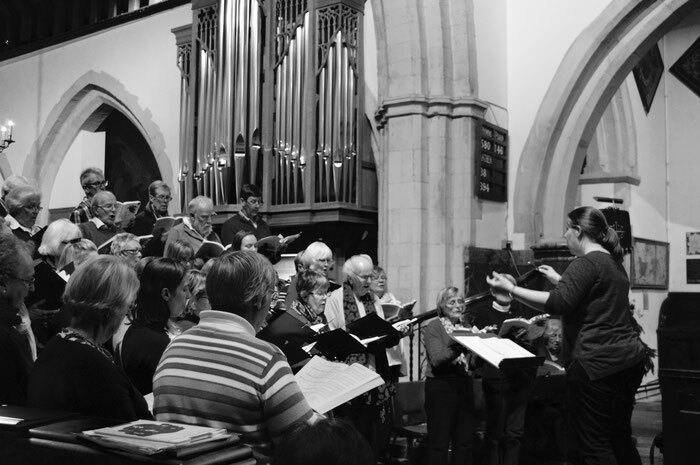 The choir regularly performs two large scale concerts (usually with orchestral accompaniment where required) as well as participating in the prestigious Leith Hill Musical Festival, which is held in Dorking every April. There are also many other events, social, musical and cultural which are arranged. It doesn’t matter if you think you are a bit rusty: there is no audition and you don’t even have to read music. If you’d like to hear more about this successful and thriving choir and/or are considering joining, please Click to email for more information or visit bbcsinfo.org.